And in theatres across the country, no one could hear you shivering either. This movie is cold, ice-cold and full of lots of hardware. Very few films wake themselves up but this one does. 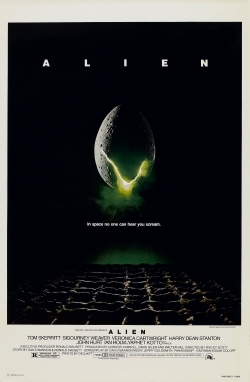 The movie begins with darkness in deep space and a troubling call to Mother. It’s time to wake the crew up. One switch at a time the mother ship comes to life. Its crew members are slowly emerging out of a deep sleep. There is a task to perform and they have to do it. Soon they find themselves on a planet where once a race of giants lived. Now only the wreckage remains. It is a literal nightmare. The climate reminds me of that red spot on Jupiter where hurricane winds and hostility prevails. When they left that foresaken place they return to their ship bringing back with them a hidden menace. At this point a sense of dread begins to permeate the film. There’s trouble afoot and bad news travels fast. This all becomes apparent when seemingly all is well and then watch out! There’s a major eruption. I may never look at Spaghetti the same way again. That’s what happens when you dine on Chef Boyardee. What a mess! 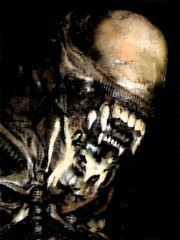 This spaceship western ticks out like High Noon only with a gruesome monster picking off each crew member one by one. Outwit, outplay and outlast in this ultimate survivor movie. Next summer if the air conditioning breaks down watch this and chill. 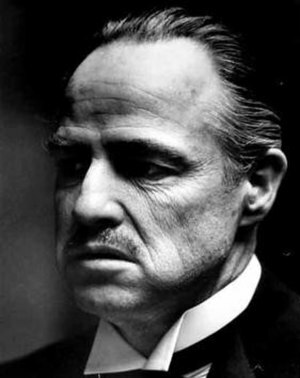 To me “The Godfather” is like a buffet, something for everyone and it tastes great. I can’t watch that film without eating. It would be a sacrilege to not have Italian food while watching this first rate film. It is a movie which promotes a zesty atmosphere, so much so that I threw an Italian Gangster potluck party complete with a paper mache horse’s head on my bed. The flyer suggested “Lavish Attire” and asked the participants to bring Italian cuisine. It was a smash. “I believe in America.” It is the first line of one of the greatest films in the history of American cinema. 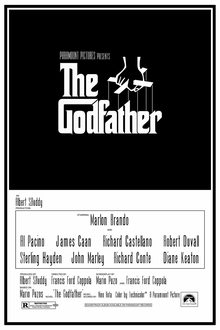 “The Godfather” released in the spring of 1972 was eagerly anticipated. No one was quite sure what Marlon Brando would look like in the role of the Don. He had never played an Italian before on film. The book, a best-seller by Mario Puzo was extremely popular at the time and everyone had their own idea on who should play the characters. Finding out, I was surprised and disappointed. What did I know? With the exception of Brando, who were these people? For some weird reason I had envisioned a young Tony Curtis type for the role of Michael. Who in the hell was Al Pacino? I was suspicious. All my fears were assuaged after sitting down during the first 20 minutes. My favorite part of the movie was Michael and Kay leaving the film :”The Bells of St. Mary’s” and Michael realising that his father had been shot. The camera follows Kay’s reaction before Michael knows. it’s much as though JFK is coming from behind the Stemonds Freeway sign. At that moment the film changes its tone. Michael is now involved and that involvement will lead him to rule. Absolute power corrupts absolutely. Or does it? Watch the movie and find out and if you already know, watch it anyway. It’s a movie you can’t refuse.